Default Tablespace Encryption In The Clouds? One of my customers called me up last week and said he’s been having the most peculiar problem. He created a new instance on the Microsoft Azure environment (12.1.0.2 SE) and he can’t create new tablespaces. The error he was getting was “ORA-28365: wallet is not open”, and he is wondering “what gives?!”. https://www.realdbamagic.com/wp-content/uploads/2014/10/Site-logo-for-header-340-x-156-300x137.png 0 0 Zohar Elkayam https://www.realdbamagic.com/wp-content/uploads/2014/10/Site-logo-for-header-340-x-156-300x137.png Zohar Elkayam2016-11-07 10:13:472016-11-07 10:58:08Default Tablespace Encryption In The Clouds? A few weeks ago, I was asked to give a private session about In-Memory database vs. traditional persistent databases. I created an hour-long session explaining the basics of database systems, how in-memory systems work, and when to use each of the systems. 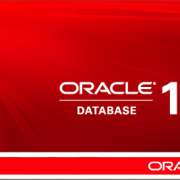 One of the questions I got (and answered) was about persistent (regular) database cache mechanism – and I felt this is a good opportunity to write about Oracle 12c new feature – the Force FULL database cache. In my session, I gave a long explanation about several hybrid solutions (such as the MySQL memory storage engine, and Oracle 12c database In-Memory option) but this post will focus on the Force Full database cache, which will be explained in the second part of the post. 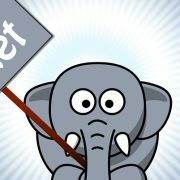 Zahar Hilkevich (from the blog – https://sqlpatterns.wordpress.com – cool blog, you should check it out) posted a riddle on Facebook. In the earlier post we installed the Oracle version 12.1.0.2 (software only) but still didn’t create a database instance. In this post we will go over an installation procedure of a basic CDB database instance. This will be the first instance on that database server (and I’ll explain later why this is important). It’s been a few months since 12.1.0.2 came out. Here is a basic guide for installing Oracle 12c (12.1.0.2). This is a two-part post – in the first part we will install the software and in the next part we’ll go over creating the new database instance. A few weeks ago, I was invited to give a lecture at the Israeli user group meeting (ilOUG DBA SIG). The presentation topic was the new Oracle 12c feature – the Database In Memory (aka In Memory Option).